Acoustic wall baffles are important components of sound acoustical, including many such contests like Sabine formula and Erin formula are calculated based on complete diffusion, so if the sound field diffusion environment that does not adequately is likely to affect accuracy formulas of acoustics. Therefore when we create the acoustic environment and uniform sound field, diffusion is a major construction project to increase sound quality. Features 1. 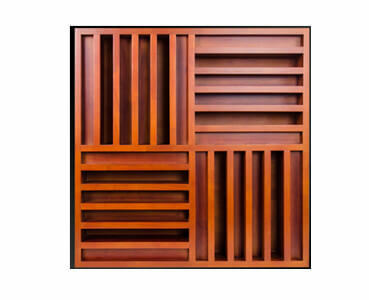 Acoustic wall baffle can disperse incident sound energy to avoid echoes and create the standing wave. 2. Make the sound field is more uniform, improve the acoustic environment, and improve the brightness of sound. 3. Diffusion frequency range (615 Hz – 1229 Hz), the highest to 2529 Hz. Application: Home theater, music hall, opera hose, audio-visual room, recording room, entertainment room.